Nanam Shyang Yeshé Dé (Tib. སྣ་ནམ་ཞང་ཡེ་ཤེས་སྡེ་, Wyl. sna nam zhang ye shes sde; Skt. Jñanasena) (mid 8th cent. - early 9th cent.) — one of the twenty-five disciples of Guru Rinpoche. He translated the Madhyamakalankara with Surendrabodhi. 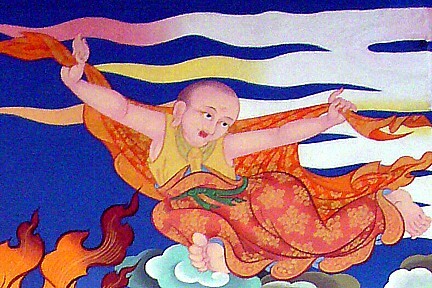 In all, he assisted with the translation of more than 300 hundred texts that now appear in the Kangyur and Tengyur, including Prajnaparamita Sutras, tantras and dharanis, and treatises on Madhyamika, Chittamatra and logic. This page was last edited on 16 February 2017, at 20:47.